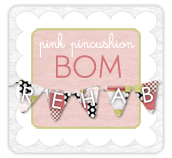 Cupcakes 'n Daisies: BOM Rehab, A Finish . . . . It's beautiful, Thelma. You've inspired me to get those UFOs done! You do beautiful work. Thatturned out nice. The Word I thought of was--- Elegant. You are going to love this quilted. Proud for your completion. Happy New Year. Another beautiful one. Happy New Year! Gorgeous! What a great project to cap off a fantastic year of quilting! Golly, Thelma, that is gorgeous! Happy new year! Your Memories quilt is gorgeous. Well done and Happy New Year. And thanks for sharing the details for Monique's BOM coming up...looks like fun! That's a beautiful quilt top. I'm looking forward to Monique's BOM too. Happy New Year Thelma. I can't wait to see what quilt number 100 will be. This quilt is beautiful. I love the colors and the pattern. I can't wait for the BOM to start, I will be sewing along! I need to work on my UFOs... That's my goal for 2013. Number 99 is gorgeous Thelma! It is perfection! The pattern is just beautiful... I love the alternate block setting for the 12 blocks (BOM). I am so glad that you were in the BOM Rehab and found it helpful. Lovely! I really like this layout for sampler blocks. Now, what will you do for #100? I am so curious! Just gorgeous Thelma ! Congratulations on another great finish ! Looking forward to seeing what you have planned for Number 100 !!!!! It's definitely a beauty, Thelma! Happy New Year! It came out beautiful!!! I think it is too funny you switched out quilts so this would be 99 :) Can't wait to see what 100 will be!! Have a Happy New Year and thanks for taking the time to share all of your wonderful works! That's the prettiest sampler ever! Ill have to check out the sew along. Happy New Year. Looks gorgeous Thelma! A well deserving 99th finish. Happy New Year. Wow, Themla its beautiful!!! Congratulations on a magnificent quilt! 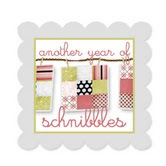 Heel veel GELUK in 2013 from The Netherlands!! just beautiful great finish for 2012 and now looking forward to seeing how many get added in 2013! Happy new Year and of course dying to know whats the 100th quilt? going to be??? Congratulations on #99. It really is pretty yet classic too. I wonder what your 100th LTQ will be? The angels are preparing to trumpet their horns. You still amaze me and yet inspire me, thanks!